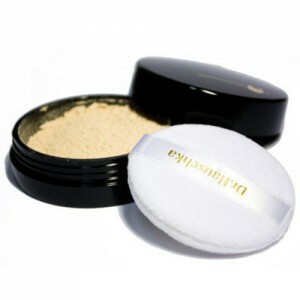 Translucent Face Powder Compact is suitable for even the most sensitive skin. 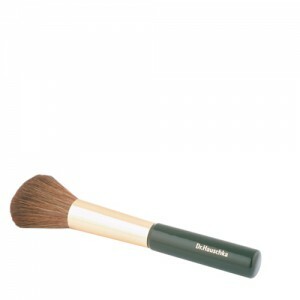 The Compact offers long-lasting shine-resistance, giving the skin a brilliant matte finish. A fine powder which mattes the skin and freshens up make up. Talc, Silk (Serica) Powder, Mica, Diatomaceous Earth (Solum Diatomeae), Magnesium Stearate, Jojoba (Buxus Chinensis) Oil, Rose (Rosa Gallica) Petal Extract, Anthyllis Vulneraria Extract, Witch Hazel (Hamamelis Virginiana) Extract, Camellia Sinensis Extract, Fragrance (Parfum)*, Limonene, Linalool, Geraniol, Citronellol, Coumarin, Citral, Benzyl Benzoate, Silica, Iron Oxide (CI 77491), Iron Oxide (CI 77492), Iron Oxide (CI 77499) *purely from essential oils and plant extracts - does not contain synthetic fragrance. Gently pad onto the face with the puff, do not rub. The Green Beauty Bible Scored: 7.83/10 "This fabulous fine, divine-smelling powder gives a lovely softness to my skin" & "Gave my combination skin a long-lasting finish".